Connaughton Construction completed a full interior renovation to the Student Mall including numerous building code updates. The renovation entailed bringing more light into the Mall by installing custom-made, oversized skylights, which required reworking the structural steel roof systems and deck above. Handicap exits and ramps were constructed for greater accessibility, and a new communications center was built to house fire alarms, closed circuit security monitors and main security panels. A new fire sprinkler system, new wiring and heating were also added. The mall was fitted with custom mahogany doors, a new mail center and customized millwork. The lighting, painting, carpet and furnishing were designed for an exterior look. "We’ve been delighted with the quality and professionalism of Connaughton Construction. We found you and your team to be honest and dependable; rare traits in the contracting world. Everyone was accommodating and easy to work with, and put up with our changes and requests with good humor and fair treatment." "We were thrilled by the work of the Connaughton team. Your focus on quality and attention to detail was fantastic. Our project came in on budget and on schedule. You were always ready to do the work to get things done just the way we wanted, and built our home as though you were going to move in." "Working with Connaughton construction is a pleasure. The professionalism and experience they bring to each new project ensures that things progress smoothly and also allows the client to be creative, knowing that the job will meet their specific needs and be well-managed. Building a home and remodeling can be stressful, but using a responsible company like Connaughton guarantees you peace of mind and beautiful results." "In my opinion, I do not know a contractor who has completed more high quality, upscale construction in the Boston area than Connaughton Construction. I have and will continue to recommend them for any project that requires detail, expertise and of course, follow-through." "Working with your company has been a pleasure. Your attention to detail allowed us to preserve the historical value of the building while totally renovating its infrastructure. Your willingness to go the extra mile to obtain the desired results earned you our respect. At all times you showed professionalism and never allowed the pressure of the job to interfere with its proper management." "Thanks for your very impressive value-engineering breakdown on very short notice. I wish that I could find GC's like you in NYC - you are a pleasure to work with. I have never encountered such attention to detail in 19 years of practice." "Connaughton Construction has always managed to provide quality, good value and aggressive schedules on our projects, when getting one or two of these is usually difficult. We always push Connaughton to produce complex projects on difficult sites with demanding clients, and they have never let us down." We started out doing a small renovation which , at the last minute, we decided to expand upon. John and his team, despite the problems we created, took it all in stride and were professional and helpful with design suggestions. In particular Project Manager, Leo, was a pleasure to work with. If we find another property to renovate we will definitely use Connaughton's team. "We give our hardy endorsement to Connaughton Construction for the excellent job that your team did to get the renovation of our home done on a timely basis without sacrificing any quality of workmanship. The subs that were used showed a thorough understanding of how to bring a grand old home into the Twenty-first century." The Connaughton team was wonderful from beginning to end -- contracting was straightforward and clear, very strong communication, project management very strong, high attention to detail, and very fair when it came to price and change orders. The team would not and did not stop until things were just right. The team runs things like a family business -- very accessible and ready to please. We are very happy. 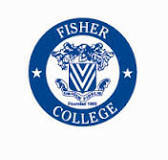 Fisher college is a private institution that grants both bachelor’s degrees and associate degrees. The College is located on Beacon Street in the Back Bay neighborhood of Boston. The Back Bay is an officially recognized neighborhood of Boston, Massachusetts famous for its rows of Victorian brownstone homes. Known for its history, architecture, cultural and educational institutions, and the hub of transportation.